On many occasions, something I read or hear conjures an obscure connection; then comes a different one, which leads me to an unexpected final destination. Is that something you do? 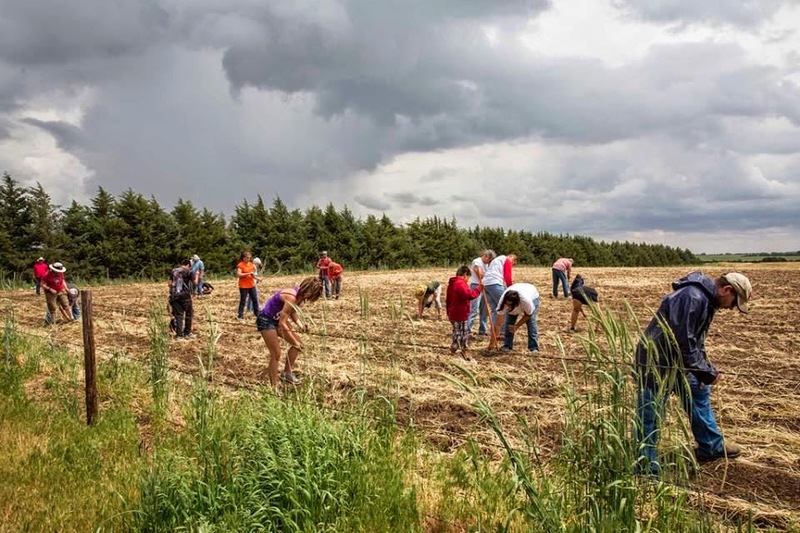 Here’s what happened: I saw a post on Facebook that indicated the Oklahoma Ponca are going to plant their sacred corn seeds on property in Nebraska that is in the proposed route of the Keystone XL pipeline. * [*For the record, my position on the pipeline controversy is that the tar sands source is ill advised; the route over the Ogallala aquifer is short sighted; the company is not to be trusted to clean up spills – which there will be; and the product will end up at a Texas port to be sent away.] But that’s not today’s topic. For some reason the Ponca reference triggered in my brain Chief Standing Bear and his 1879 trial where he told Judge Dundy, “I am a man”. 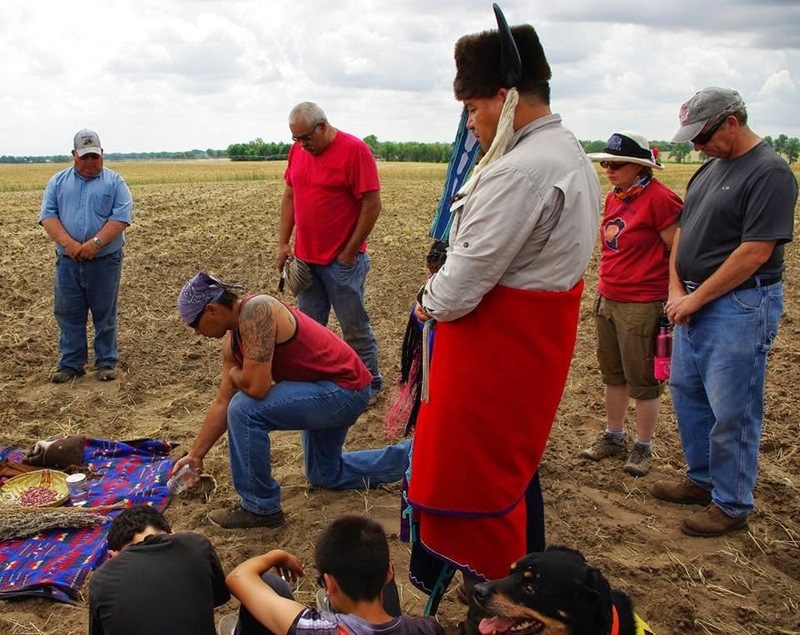 (Or was it, “Am I not a man?”)* He was on trial because had promised his dying son, during their forced march from their ancestral lands, to a reservation in Oklahoma; he would take him home to be buried. He kept his promise, got arrested, went to trial, and was granted habeas corpus by Judge Dundy and essentially became the first Native American to be granted human being status by law. I looked it up on Wikipedia and found that both versions of the quote were attributed to the occasion of the Dred Scott decision, and Chief Standing bear was not mentioned. Wow. No disrespect for Dred Scott, but I can remember in 2011 when I was reading Joe Starita’s account (“I Am a Man”: Chief Standing Bear’s Journey for Justice) of Standing Bear and the Ponca’s ordeal, saying more than once, “Every Nebraskan needs to know this story, (self-correcting) no, every American should.” Essentially African Americans were granted the same status 22 years earlier. I did a first. I amended the Wikipedia entry for the ‘I Am a Man’ entry. You can look it up. It seemed the right thing to do and it wasn’t hard at all. I have known that the Wiki policy is to encourage participation but have not felt qualified or passionate enough to amend an entry. Or maybe I have not noticed an error. At any rate, this is something I oddly felt I needed to do. Now I’m interested in this amazing God of ours and how we’re made and how we develop into people who on one occasion will sit on our hands and observe, but the elements of a different event incite us to action. I am tempted to say that I’m all about God, but when I’m completely honest, I must confess I’m all about God after I’m finished being all about me. God bless people who lovingly and peacefully act out their passion. I know feel blessed when I do. Thanks, Tom, for a really thoughtful reflection; instructive on so many different levels. Thank you Tom. Good job!! I never knew about that ordeal, but interestingly enough, just this past Sunday I was talking with a woman in church who I previously had only exchanged the usual 'hello, how are you' with. She told me her background is Native American and her grandfather (or maybe it was her great grandfather) was on that march!! She said that growing up she didn't want to tell anyone she was from Oklahoma because they were called 'dirty okies'. How sad. I appreciate your candor. Your messages are refreshing. Thanks.